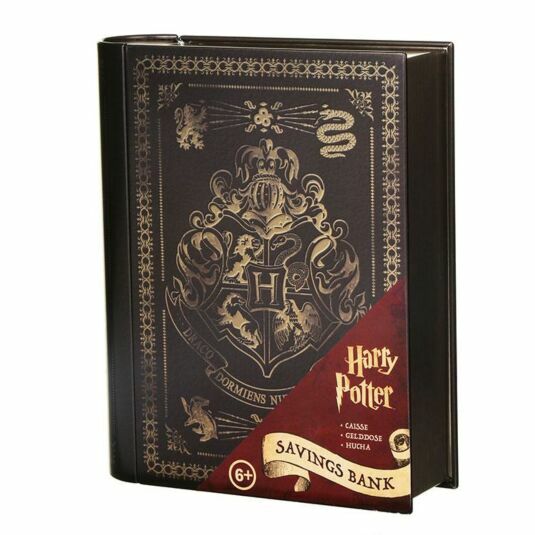 Start storing your money under the magical protection of Hogwarts with this Hogwarts Money Bank. The only place in the world safer than the well-known wizarding bank, Gringotts, is Hogwarts. Your money will be kept secure, ready for the time when you need it most. 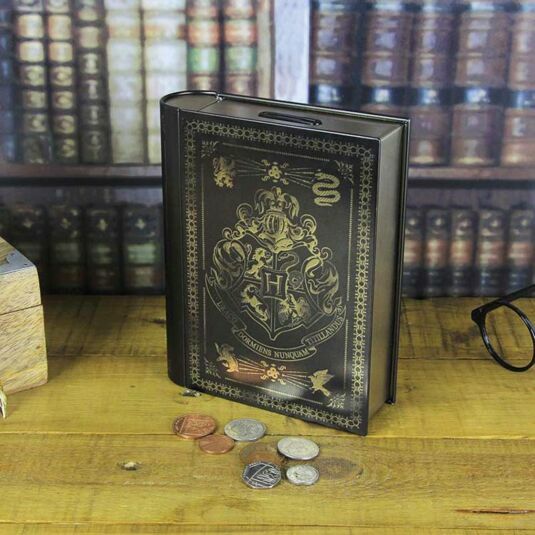 This money box is shaped like a classic spell book from Hogwarts. Emblazoned on the front of the box is the Hogwarts crest, and box is also decorated with the iconic Hogwarts animals that represented each house. The money is magically kept safe after being inserted through the coin slot at the top, and when you open up the front to receive your money, hopefully you will have enough to buy some treats in Diagon Alley! 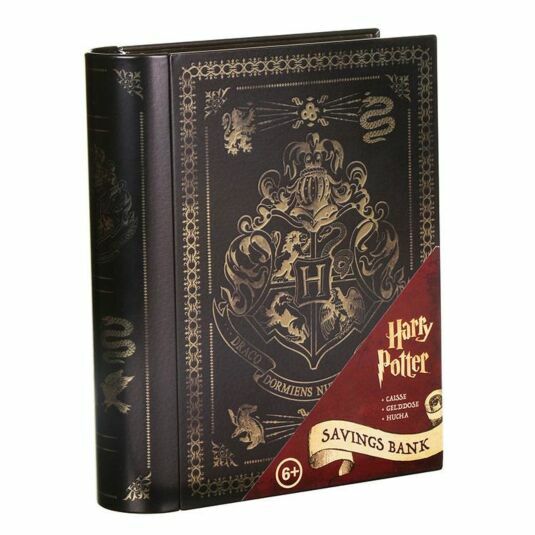 This gift is perfect for any Harry Potter fans who are looking to save up some money, and naturally your precious money must be kept sealed away by magic! This product is suitable for children 6+ years of age.